Ever asked your child when he or she got home, “what did you learn today?” and they said “nothing…”; chances are it’s because they honestly didn’t know how to put it into words. It is very important for students to be able to share what they’ve learned and observe and achieve goals. This is where the kid friendly standards come into play. Parents this is really helpful for you if you want to give students a jump start on what we will be covering throughout the year. Listed below are all the common core standards for Kindergarten. Each item needs to be mastered before your child can move onto 1st grade. They are written in “kid friendly” language so that parents can share with students and help them check off their standards as they learn them! The Alaskan State Standards are very closely aligned with the Common Core Standards. Click on the link below to view. Same concept as the Kindergarten standards. These “Kid Friendly” standards helps parents and teachers bridge the gap between school and home and allow for students to check off the standards they’ve learned and reach for the standards they still need to learn. If you are a parent of one of my students and cannot access these PDF links send me an e-mail and I will print one out and return your child home with a copy. As stated before the Alaskan State Standards are closely aligned with the common core standards. Research shows that children learn best when they are actively engaged in what they are learning. Student’s also learn best when they are placed in small groups and the lessons are varied to meet their specific needs. This is where the workshop model comes into play. A true workshop model consists of a teacher led mini-lesson in a whole group, followed by student led “centers” that reinforce the skill or previous skills taught. Usually the whole group mini-lesson consists of word work, decoding skills, phonics skills, and comprehension skills. The mini-lesson should last only 15-20 minutes depending upon the skill(s) taught. Since my school has a reading program and it is already put into the schedule, I have a separate time in my schedule set up just for Reading Workshop. This workshop model is an excellent way to support the reading program your school already uses (example SFA). http://www.youtube.com/watch?v=NFQYul6qlvs&feature=youtu.be – This short video example of a whole group mini-lesson teaches students how to combine clues from the story with their prior knowledge to discover the author’s meaning. After the mini-lesson there should be literacy centers that not only reinforce the new skill taught in the mini-lesson but previous skills that have been taught as a “spiral review”. Students should be placed in “tiered groups” of 2-3 students in each center. Tiered groups mean that you pair a high student with a low student. That way the low students are getting extra support that they need while you are conferring with the groups. While you are conferring with students you are checking for understanding and completing running records. The centers should be hands on and requires the students to use their critical thinking skills. 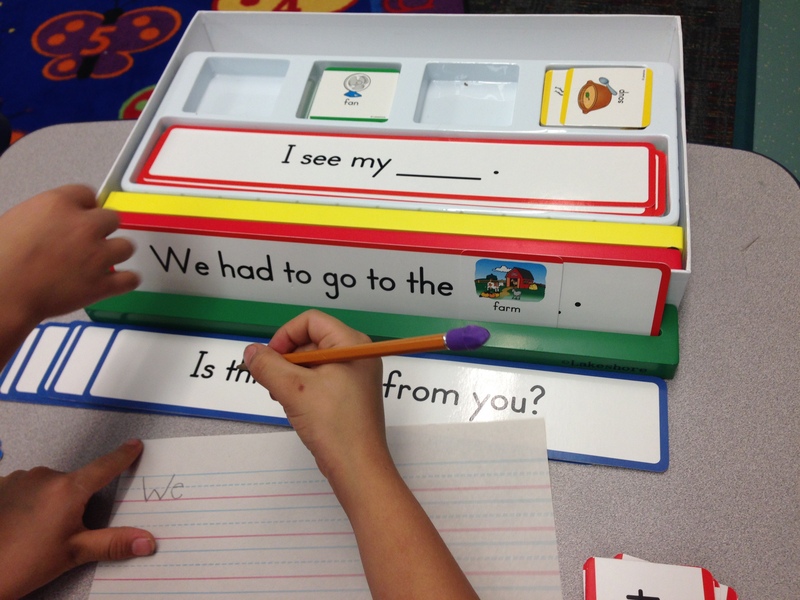 Examples of centers could include word shorts, puzzles, magnetic whiteboards, cutting and pasting activities. Each group should stay at each center for no longer than 7-8 minutes. Then I usually have them rotate counter-clockwise once my timer goes off. http://www.youtube.com/watch?v=4pnQ5KStt1I – Excellent example of Literacy examples with teacher conferring. https://mrdanielk1.wordpress.com/2013/05/17/literacy-workshop-examples – Examples of centers in my classroom from the 2012-2013 year. After you’ve circulated for a short time, then it is time to start pulling small groups into your guided reading groups. 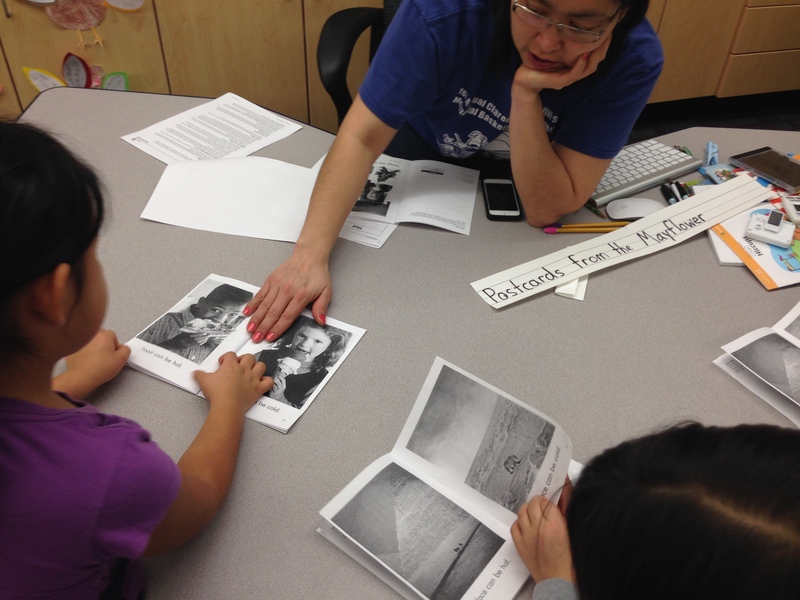 The complete structure of the guided reading groups are based on a leveled reading system. I would highly suggest looking into http://www.readinga-z.com as a way to supplement your leveled reading system. It is approximately 70 dollars and has reading levels that go all the way to 5th grade. The reading program my school will use (SFA) does have leveled books for Kindergarten and 1st grade but they are more based on phonics and decoding skills, rather than actual reading comprehension. However if you don’t want to spend the money to get Reading A-Z (which I would highly recommend for ANY teacher) or you cannot convince your principal to pay for a subscription, SFA (or your school’s leveled program) can work just fine. At the beginning of the year you assess every one of your students to figure out what their reading level is at (DRA, Guided Reading, SFA, Reading A-Z, ect). Then based on the groups you will provide small group instruction using whatever level of book they are on. However your small group lesson will focus on whatever the skill was you introduced during the mini-lesson. So for example if you are using DRA as your leveling system, any students that are on DRA level 8 you will call them back to your table and you will provide them with a DRA 8 book. The other students will still be engaged in their literacy centers quietly during this time. My suggestion would be to have your guided reading at a kidney shaped table facing the whole room so you can still observe the rest of the class. If you have a TA, here is where your TA would take the place of circulating around the room. Or your TA could be pulling another guided reading group. http://www.youtube.com/watch?v=yNPRL7n4oi8 – A great example of a guided reading group at the emergent reading level. Student’s reading ability is measured by their fluency (ability to read the words smoothly) and comprehension. They gain fluency by learning basics of language such as initial sounds, vowel sounds, word blending, and sight word knowledge. Comprehension is the ability for someone to understand what they’ve read. They learn how to comprehend text by using both the picture and the words to help tell the whole story. Student’s also use their background knowledge (or what they already know about the world) to help them get what the author is trying to tell them. In our guided reading program books are leveled based on the number of words, difficulty of words, and the level of comprehension (or understanding) needed to successfully read the book. We use Reading A-Z for our guided reading program as well as Raz-Kids as the online component to support. Books are broken down into levels by letter. Student’s in our kindergarten class will move up through the levels in reading by gaining knowledge in phonics and letter sounds, sight word knowledge, and comprehension skills. There are several comprehension skills we go over throughout guided reading. Main Idea / Details – Student’s learn about the big picture of the story and what the story is about overall. Then they use the story to find details to support that main idea. For example if a student reads a story titled “Fruit” they will learn that the main idea is that there are many different kids of fruit. Then they will look through the book to find the different fruits that were discussed in the book. Compare and Contrast – Compare and contrast can be used in many different ways. Students can compare and contrast two different topics within the same book. They can compare and contrast two or more characters within the same book or between two different books. Students can use compare and contrast to find similarities and differences between two different stories. Classifying Information – Many stories require students to understand how to put topics into different groups. For example referring back to the story about “Fruit”, students are asked to sort fruit into groups of “fruit you peel” and “fruit you do not peel”. Problem and Solution – Books that are literature and not informational text often has a problem or an issue that the characters in the story has to face. Students learn how to identify problem and the solution to that problem in the story. Predicting – A part of being a good reader is being able to use their knowledge of the clues in the book to help guess what may happen next in the story. Learning and practicing this skill will help students learn to look deeper within the text other than just at the surface. Inference – Many times authors in stories may try to tell their readers something but may not clearly state it within the text. Students inference when the use what they know about the world around them and apply it to the clues within the text. Students combine the evidence with their prior knowledge to come to a conclusion about the author’s message. Sequencing – Another important comprehension tool is being able to retell the story in the order in which it’s supposed to happen. This is very important for students to learn how to give directions, follow directions, or just retelling a story to someone else. Where can I purchase the sentence strips with the interchangeable words?